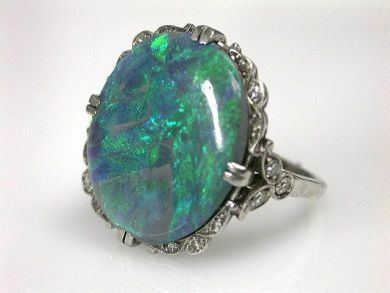 A beautiful Art Deco platinum ring that features 1 oval cabochon grey yellowish-green to purplish blue opal, est. 8.17ct and 18 single cut diamonds, est. 0.18ct (SI clarity: H-I-J colour).